Buying or selling a home can be an expensive transaction. Home buyers and sellers rely on real estate agents to guide them through the process. They look to the agent’s knowledge and integrity to help them make the right decisions. However, given that real estate agents work on commission—meaning that they only earn money when they make a sale—sometimes their good judgment gets clouded. Instead of thinking things through and determining the best way to handle a situation, some real estate agents keep only one thing in mind: money. Nobody wants to lose out on a sale, which could potentially result in tens of thousands of dollars. This causes some agents to be dishonest or refuse to disclose important information that can impact a sale. An agent accused of an ethics issue can face punishment such as license suspension or revocation. Ethical issues are quite common in the real estate industry. Some common ones include stealing another agent’s client, mishandling paperwork and failure to communicate. Some may lie about issues or fail to mention them altogether. For example, if a home had experienced a flood or fire in the past, your agent should let you know. The same goes for disclosures, such as home inspections and repairs. However, many agents hide this kind of information because they know it can impact a sale. Buyers are instead misled, learning about problems after the fact. Some agents may fail to inform sellers of all offers presented. Why? Because the agent tries to find their own buyer so they can earn double the commission. They don’t want you to accept an offer from a buyer who is represented by another agent. 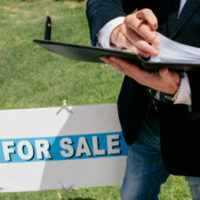 It becomes a competition, which can delay the sale of your home. These issues can happen for several reasons. An agent may be ignorant about the Code of Ethics. They may lack training or broker supervision. Others are well aware of how to act ethically, but they choose not to for their own personal gain. Because of this, real estate agents are often compared to car salesmen. This is not a fair and accurate assessment, though. Most agents act in an ethical manner and walk a fine line every day as they balance ethics with making a living. As a real estate agent, it is important to keep the Golden Rule in mind: treat others the way you want to be treated. If you were buying or selling a home, you would want someone to be honest and forthcoming with you. Treat your clients in the same manner. If you are accused of acting in an unethical manner, you could face a variety of penalties. Get help with your case from the Law Offices of David P. Rankin, P.A. He has represented more than 200 licensed salespeople and brokers before the Florida Real Estate Commission. He was the attorney for the Greater Tampa Realtors from 2002 until 2019. He will work diligently to quickly resolve your matter. He has helped many Florida real estate agents keep their licenses. Schedule a consultation today by calling (813) 748-7108 or filling out the online form.